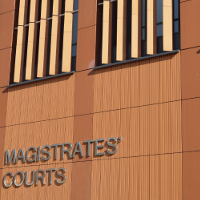 On Monday 6 February, at Cwmbran Magistrates Courts, Stuart Reeves of Lock It Down Security Services Limited, and Joseph Mitchell of Alpha Secure Group Ltd, were found guilty of supplying an unlicensed security operative. The prosecution of Lock It Down Security Services Limited and Alpha Secure Group Ltd resulted from a customer site inspection by the Security Industry Authority (SIA) in Ebbw Vale, in October 2015. During this inspection, SIA investigators discovered a security operative working without a licence, an offence under the Private Security Industry Act (PSIA) 2001. The SIA requested information from Mitchell about security operatives employed by both businesses and he failed to provide this. This is an offence under the PSIA (2001). Lock It Down Security Services Limited, and Alpha Secure Group Ltd were former members of the Approved Contractors Scheme, which exists to raise performance standards in the private security industry. Both companies were controlled by Reeves and Mitchell was responsible for overseeing the business operations. The court heard that essentially the two companies were the same business. During the SIA investigations, both Reeves and Mitchell blamed each other for the supply of the unlicensed operative and distanced themselves from the companies they ran. The judge noted that there appeared to be no existing safeguards to ensure that employees remained licensed by the SIA. Reeves and Mitchell were sentenced on the day. For supplying an unlicensed security operative, Reeves was fined £1500. Mitchell was fined £1250 having pleaded guilty for supplying an unlicensed security operative and failing to provide information to the SIA. Both directors were also ordered to pay cost of £4727 each. SIA Head of Formal Investigations, Nathan Salmon, said: “Following this prosecution we have revoked the directors’ licences as they have proven to be unfit to operate in this regulated sector. We take all non-compliance very seriously – you cannot cut corners in this industry. Where we find non-compliance we will take action”.